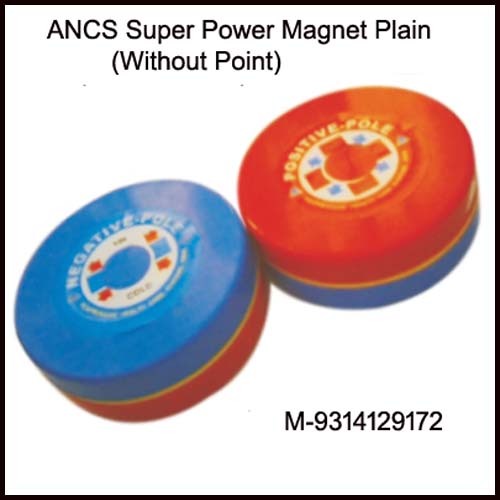 Super Power Magnet Plain two valuable in treatment of various aliments, aches & pain of body. It has a hanging facility over the affected part of the body. Super Power Magnet For gout, leg, knee, heel pain, improves blood circulation, lower back pain, complaints of hip joints, cervical spondylitis, shoulders and arms pain, sciatica, obesity etc.Super Power Magnet:- Red Color indicates North Pole Blue Color indicates South PoleUseful for making magnetic water, oil and milk.